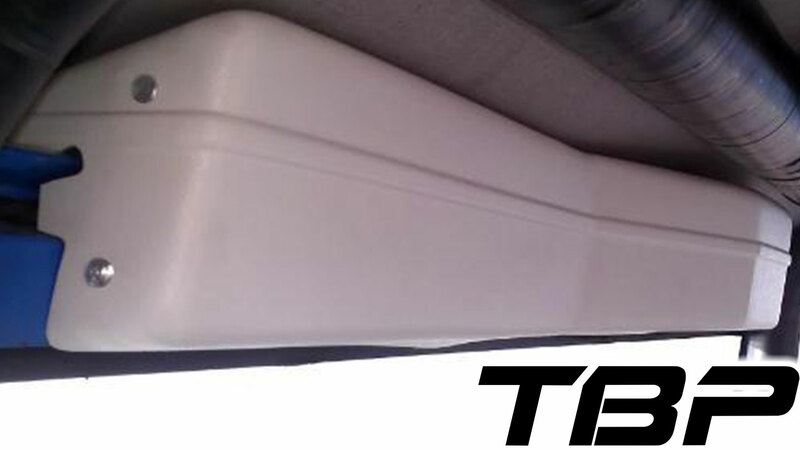 New White Wiper Cover for 66-77 Ford Broncos with Rampage, Kayline or Specialty Top Soft Top/Roll Bar Top Kits. MADE IN THE USA!!! This wiper cover system fully encloses the wiper motor, bracket and wiper linkage assembly. This cover looks good whether running a soft top, Roll Bar top or no top at all (does require that you leave the windshield riser bracket installed when running no top). The wiper cover is made of durable, ABS plastic and is UV resistant. The molded plastic cover is textured to very closely match the texture of the original vinyl dash pad. This kit includes all brackets needed to install the cover. Brackets are aluminum to prevent rust and corrosion. Made from White plastic material, NOT black plastic and painted. This ensures that the wiper cover will retain its white color and not discolor like other wiper covers where the white is painted onto a black plastic base.